Becca Thomas (c) used her lifesaving skills when she noticed River Falls Swim Club teammate Marissa Metzler chest up and unconscious in a pool. 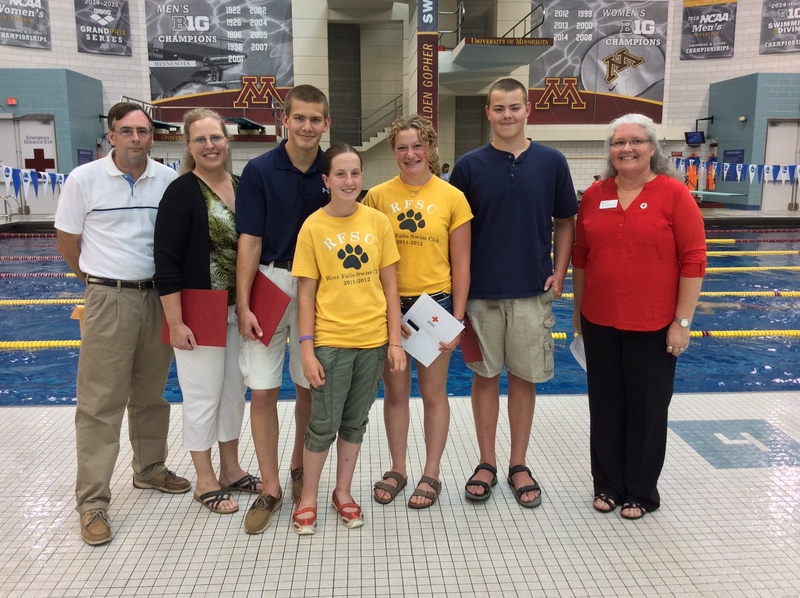 Three Wisconsin teens put their lifesaving skills to use one early morning at swim practice back in 2012. Becca Thomas used her Red Cross lifeguarding skills when she noticed River Falls Swim Club teammate Marissa Metzler chest up and unconscious in the pool. Becca rushed into action and immediately got Marissa out of the pool. From there it was a team effort. Jon Heiniger began chest compressions while his mother, Sonja, did the mouth-to-mouth portion of the rescue. Meanwhile, 15-year-old Ben Heiniger ran for the AED. All of that took place within a minute. Fast thinking and Red Cross lifeguard training saved Marissa’s life. Their heroic actions earned Becca Thomas the national Red Cross Certificate of Merit, and Jon, Sonja and Ben awarded the Certificate of Extraordinary Personal Action. 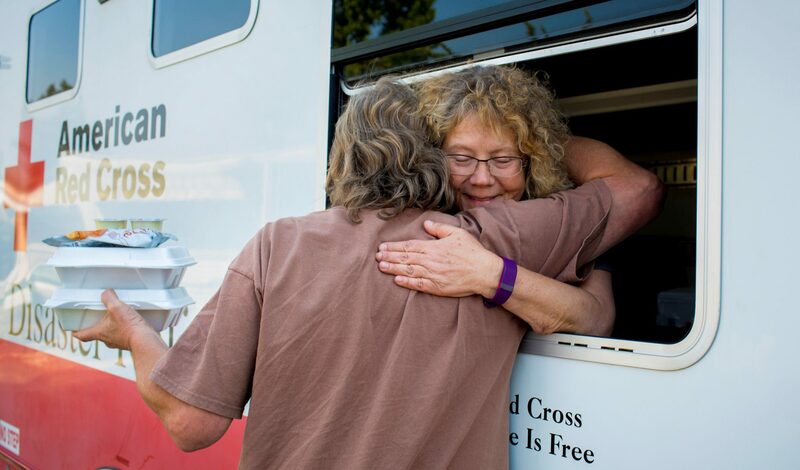 The American Red Cross awards about 100 Certificates of Merit each year across the country. 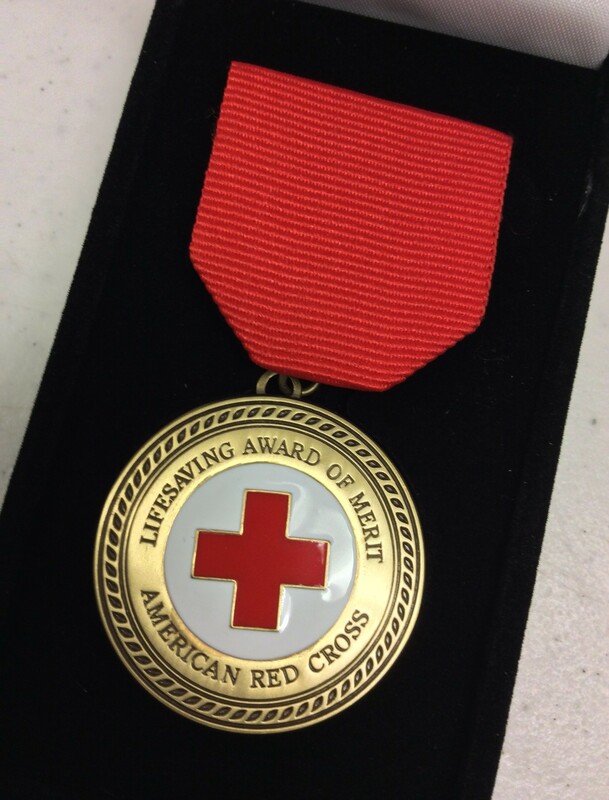 The Red Cross awards about 100 Certificates of Merit each year across the country. The Certificate of Merit is the highest award given by the American Red Cross to an individual or team of individuals who saves or sustains a life by using skills and knowledge learned in an American Red Cross Health and Safety Services course. The certificate is signed by the President of the United States, who is the honorary chairman of the American Red Cross. The award package also includes a citation, medallion and lapel pin. The Certificate of Extraordinary Personal Action is a local award that can be given to individuals who are not Red Cross trained but use lifesaving skills to help save someone’s life. For more about the story, watch the Fox 9 news clip. To learn lifesaving skills, take a Red Cross class.